Back in July, a Hillview, Kentucky man shot down a drone that was flying over his property. He was arrested and charged with criminal mischief and wanton endangerment for destroying the $1,800 unmanned aerial vehicle. Now, a judge has cleared him of all charges. 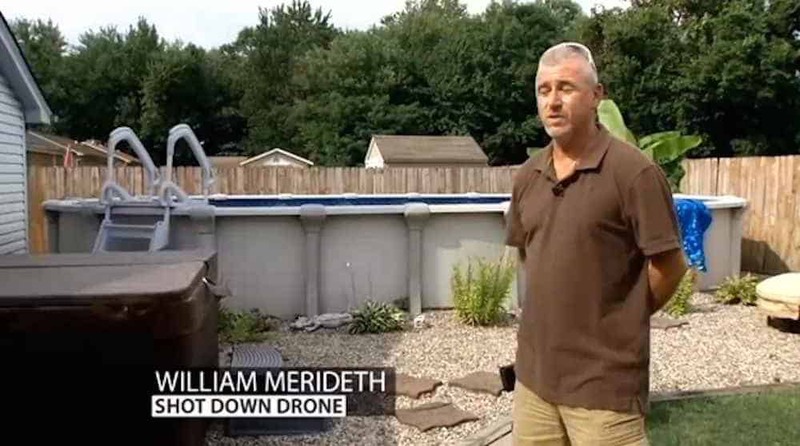 William Meridith, 47, said his right to privacy made it ok to shoot down his neighbor’s drone. The owner of the drone said he was simply flying it to get aerial images of another neighbor’s house. Earlier this week, Bullitt County District Court Judge Rebecca Ward ruled that since witnesses testified the drone was flying “below the tree line”, Meredith has a right to shoot it down. The drone pilot, David Boggs, provided video evidence to Ars Technica that his drone was actually flying over 200 feet above the ground.